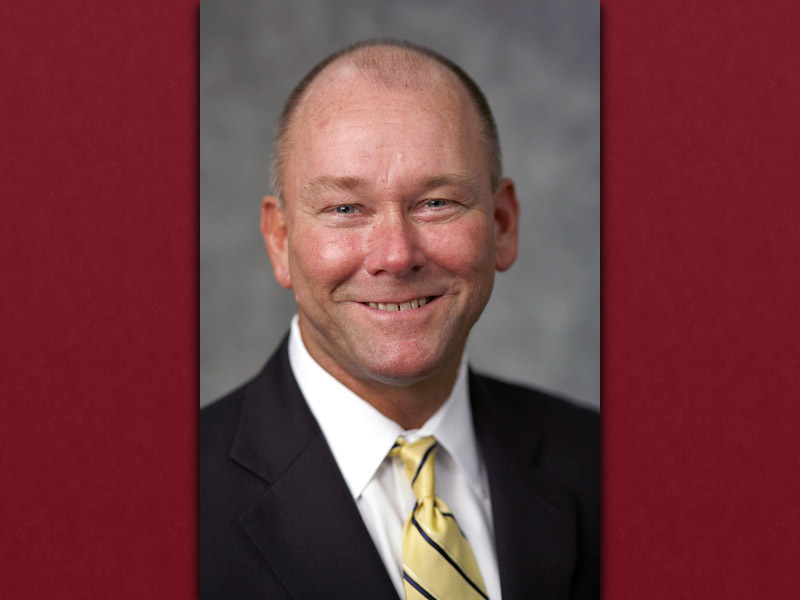 Clarksville, TN – Brigadier General Scott E. Brower, former deputy commanding general of the 101st Airborne Division, will deliver the keynote address at Austin Peay State University’s summer commencement at 2:00pm on August 10th, 2018 in the APSU Dunn Center. 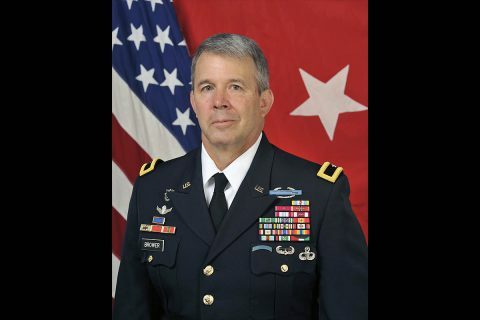 Brower, a Passaic, New Jersey native, graduated from the U.S. Military Academy in 1989 and was commissioned a second lieutenant in the Air Defense Artillery. Brigadier General Scott E. Brower, former 101st Airborne Division deputy commanding general, to speak at Austin Peay State University’s Summer Commencement. Clarksville, TN – Brad Loos, major gifts officer with the University of Missouri’s Tiger Scholarship Fund, will deliver the address at APSU’s 2017 Summer Commencement at 2:00pm, Friday, August 11th, in the Dunn Center. 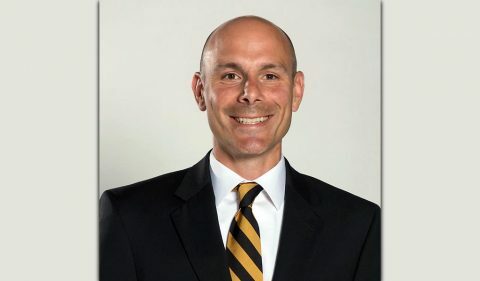 Prior to joining the Tiger Scholarship Fund, Loos spent 15 years as a college basketball coach, including three years at the University of Missouri. Clarksville, TN – Fort Campbell Garrison Commander Colonel James R. Salome will deliver the keynote address at Austin Peay State University’s 88th Summer Commencement on August 5th. Salome took command of Fort Campbell on June 18th, 2015, after arriving from Fort Bragg, North Carolina, where he served as the Commander’s Initiatives Group director, U.S. Army Forces Command. 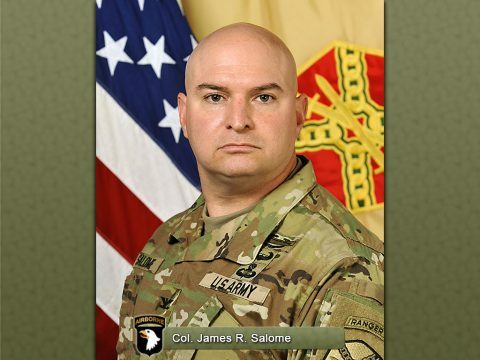 Salome previously served with 2nd Brigade Combat Team, 101st Airborne Division, as an operations officer. Clarksville, TN – Gregory Singleton, Austin Peay State University associate vice president for student affairs and dean of students, will deliver the keynote address at APSU’s 86th Summer Commencement at 2:00pm, Friday, August 7th, in the Dunn Center. A Tennessee native, Singleton earned an associate degree from Jackson State Community College. He went on to receive his Bachelor of Science in Education and his Master of Science in Student Personnel Services in Counseling from the University of Memphis. Clarksville, TN – Austin Peay State University will award degrees to approximately 380 students during its 84th Summer Commencement on Friday, August 9th in the Dunn Center. Commencement will begin at 2:00pm. Doors will open at 1:00pm for guests. In addition, Breanna Price, who is enrolled as a cadet in the University’s Reserve Officers’ Training Corps (ROTC), will be commissioned as an officer in the U.S. Army at the conclusion of the ceremony. 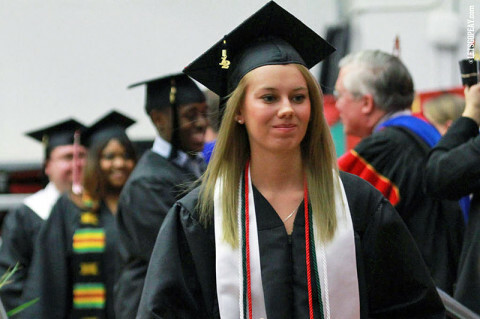 Clarksville, TN – Austin Peay State University will award degrees to approximately 350 students during its 83rd Summer Commencement on Friday, August 10th in the Dunn Center. Clarksville, TN – The Austin Peay State University‘s Dunn Center floor is getting more than a facelift. After seeing part of the floor twice replaced in the past decade, a whole new surface will be in place when the 2012 Austin Peay State University volleyball season opens this fall–call it Extreme Makeover APSU style. Clarksville, TN – Austin Peay State University will graduate its largest class of summer graduates at 2:00pm, Friday, August 12th in the Dunn Center. University officials are reporting there are nearly 400 degree candidates, the largest summer class since APSU began an August ceremony in 2007. 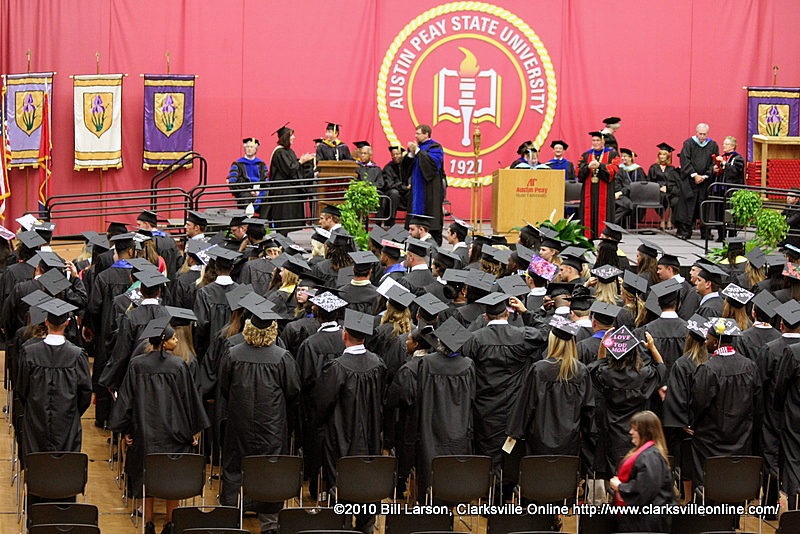 ﻿﻿﻿﻿Clarksville, TN – Students scheduled to graduate in August from Austin Peay State University will have an opportunity to participate in Grad Finale, an event designed to make sure all preparations have been made for summer commencement. Grad Finale will be held from 11:00am-3:00pm, Wednesday, July 6th in the Morgan University Center Ballroom. Students need to remember to bring a form of identification, such as their student I.D. or driver’s license, with them to this event.